Dolby is constantly advancing the mediums through which we experience media. Through the course of the past 50 years Dolby has transformed audio, voice, and visual experiences for the world. Their new headquarters at 1275 Market St is a symbol of Dolby’s constant drive to innovate and stay connected. Its lobby is a large blank canvas that will set the mood for visitors, workers, and the general public. The lobby is a window into Dolby’s soul and essence. Concourse is an audio-visual installation by Reza Ali and Ryan McGee. Built for Dolby's new world headquarters, the installation lives inside the Dolby Gallery on its digital ribbon, an 80 foot super high resolution LED screen, in its lobby. The installation embodies Dolby’s innovative nature and its dedication to making tools that empower artists. Concourse is about serenity and surrealism. Reza designed the piece to capture the serenity and mystical nature of the mountains, fog and ocean surrounding the San Francisco Bay Area. During the day, Concourse, functions as a window into a synthetic landscape that transforms over time. The landscape is slowly traversed during so viewers are taken for a ride. The landscape is inhabited by dynamic [shape & sonic] creatures that create sounds. As these creatures move, so do their sounds [through the physical space]. During the day the sound is ambient [synthesized and spatialized in real-time from the landscape and its creatures moving on its landscape]. At night, Concourse uses the large luminescence LED screen as a canvas for minimal abstract monochromatic generative visual light ‘notes’. The installation's generative visuals and synthetic spatial sounds poetically come together to create an immersive environment that is about beauty, visual music, organic motion, geometry, math, physics, light, sound, virtual worlds, visualization, sonification, and emotion. 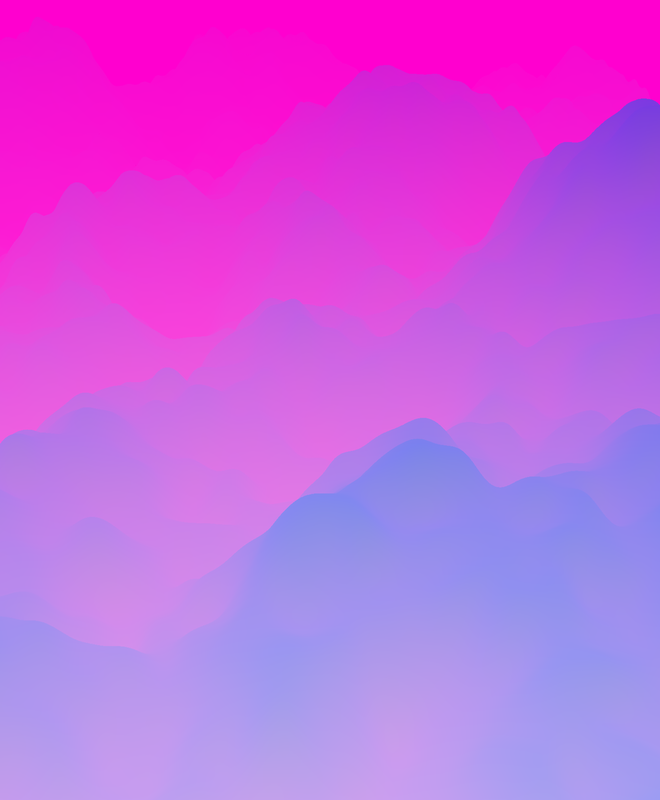 Research & Development Imagery of Generative Mountain Generation & Real-Time Shading via GLSL (show below).